If you only glanced at the specifications, the latest iPhones unveiled this year by Apple look very similar to last year’s iPhone X. Consider the matter more closely, and there is more to see, however. The revolutionary changes introduced in this year’s XS, XS Max and XR, by Tim Cook & Co. are happening behind the scenes. Through a series of game-changing enhancement, the world’s biggest technology company is turning the iPhone into a highly personalized device, with AI (Artificial Intelligence) running through both their hardware and software plans. Perhaps most importantly, this year’s iPhone lineup featured a dedicated microprocessor, specifically designed to perform AI tasks. The phones come equipped with a new chip technology which helps the device personalize the Apple ecosystem for each user individually, using AI algorithms. Thanks to Apple’s relatively new AI technology, your iPhone will understand where you are, what you need to know at a particular time and what you’re doing. When Apple’s Voice Assistant suggests you call your family or friends on their birthday, or reminds you if you’re running late to a flight, when you’re reminded to turn the phone to DND (do not disturb) when driving, or you enter a movie theater – your iPhone is using Artificial Intelligence to personalize its recommendations to you. All three of this year’s iPhones include an ‘in-house’ (made by Apple, proprietary) A12 processor which has a component known as a ‘Neural Engine.’ These Neural Engines are responsible for performing the math’s used in Artificial Intelligence and Machine Learning (ML) tasks. Apple’s Bionic Chip is simply a pair of processing cores, responsible for handling machine learning (ML) algorithms. These algorithms are the backbone of some of the critical iPhone features including Animoji, Face ID and augmented reality apps. This year’s second-generation engines can run a whopping 5 trillion operations per second. The presence of a dedicated processor, designed to conduct for AI & ML tasks, makes the iPhone the ‘future of Smartphones’ and represents an enormous investment by the company in AI as the single feature around which their roadmap is built. Interestingly, the new phone features a separate graphical processing unit (GPU) to elevate the efficiency with which these tasks are conducted and provide speedier responses to users. Splitting the processors like this, will extended the battery life of the new phones, when compared with earlier versions. This year’s devices boast, for example, a 30 minute to 1 hour battery increase over last year’s models. To demonstrate the impact these changes is likely to have on users, consider the camera – one of the most used features of any iPhone. Apple is slowly transitioning from its camera from a feature that merely records images, to one that captures all of the information available, and generates a picture according to user specifications. It’s a subtle but important difference. Known as ‘Computation photography’ this upgrade, which, again, uses the Bionic Chip, is intelligent enough to decide what it is looking at – a face or scenery, for example. Because the phone is capturing all of the information available, users can perform changes to the image they want, even after the lens has captured the data. For example, they can change depth of field in their images, after the shot has been snapped. Another innovative feature due to AI in the feather of Apple is Siri’s suggestion for geolocation, apps, and contact on the lock screen. Again, these capabilities have present in iPhones previously (since iOS 9, in fact) but this year Apple has taken another step forward with the technology, using the Bionic Chip. Over time, as your phone learns your voice patters, interaction with Siri will improve. Apple’s software will learn your likes and dislikes, alongside that. 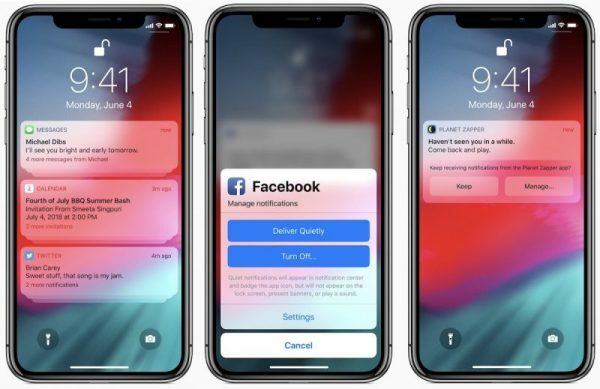 For example, if a user continually swipes away reminder notifications, Siri is likely to stop reminding you about important events in this way – because you don’t value the information. Most significantly, for the first time in history, Apple has opened the capabilities of their Bionic chip to their third-party developer community. It’s a revolutionary step, something which has worked incredibly well for Apple in the past – for example, making the iPhone more useful to people with the millions of companies building apps for their app store. Now, the core ML features that Apple’s new chip provides, is open to developers who can integrate AI into their software going forward. At the keynote, Apple gave an impressive example – an app which can track a basketball game in real time, using the Neural Processor to perform the AI tasks required to keep track of points scored during the game. Sitting on cash of trillions of dollars, Apple is investing billions in Research and Development around it’s iPhone technology. 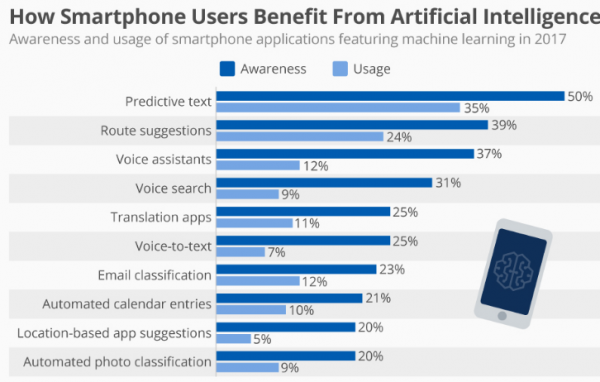 Apple isn’t the first company to use AI in their phones but they have already made an impact in the field with the AI tasks their devices can perform for users. Apple’s roadmap now appears to be doubling down. It’s built almost entirely around AI, to deliver a phone experienced which is more personalized without any effort on the users’ part and which learns user preferences to further enhance the experience their customers have. Samsung and other Android phone providers should be watching the situation closely.